The title basically explains my life at the moment, although you'd know that if you read about my roll neck obsession in this post. 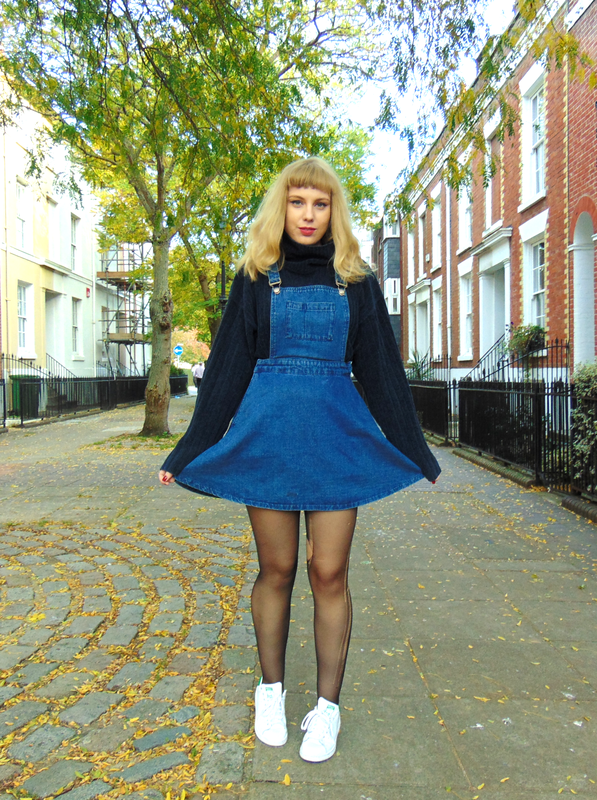 I'd never thought of pairing a chunky, oversized jumper with a pinafore before. I like how casj and comfy it looks though, and it means I don't have to wear a jacket...just yet. I think that I prefer wearing pinafores without a jacket over the top. These photos are gorgeous!! Love this! That jumper looks so cosy!! Love the idea of styling a roll neck with a pinafore, looks great! Gorgeous outfit I love the oversized roll neck paired with the pinafore - looove! This is such a cute outfit, I love it! The jumper looks so cosy! This look is so cool! Girly with the skirt, but still cool looking because they're dungarees. 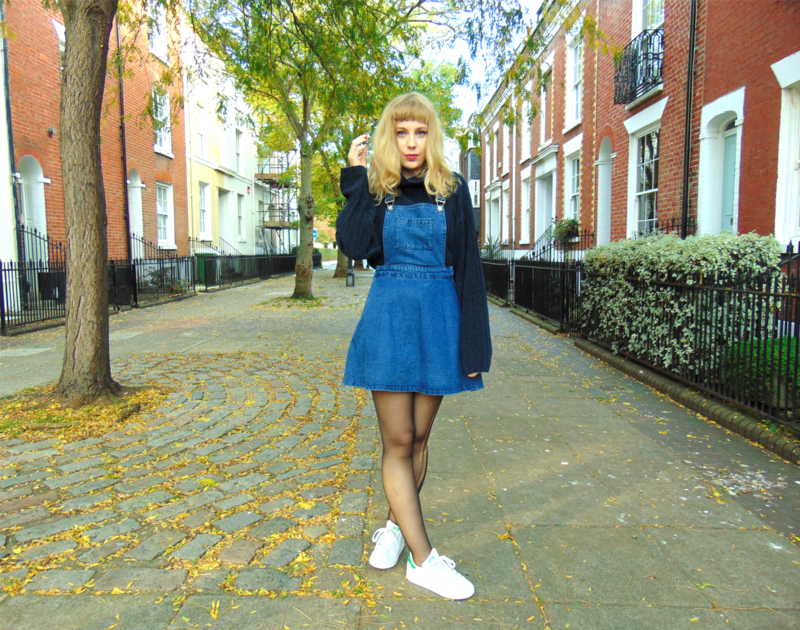 Love this look, such a great denim pinafore! Oh my gosh, this roll neck is beautiful - and it was found at a charity shop?! 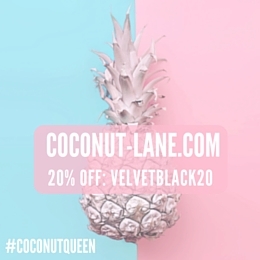 What a style steal! I love roll ups and i've got about 4 of them! Also your little pinafore is soso cute - i need one. Roll necks seem SO comfy and I need them in my life. 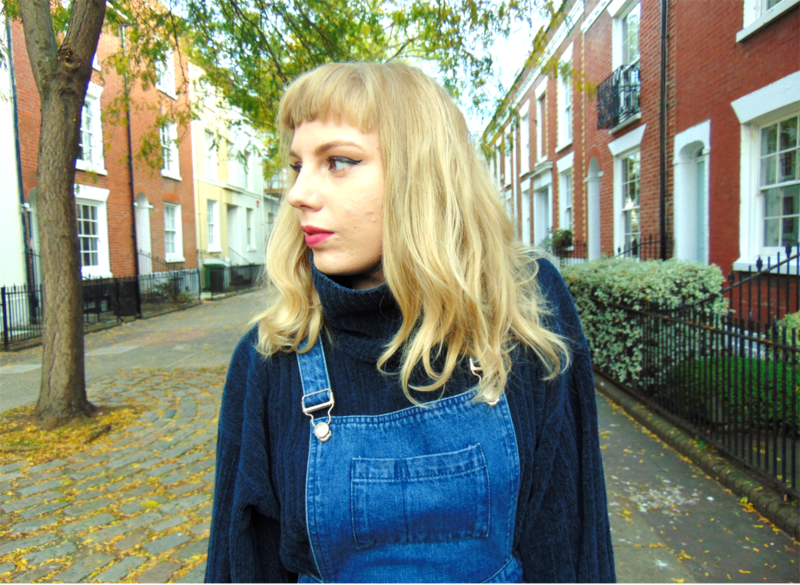 So in love with your pinafore, Alice, and ugh, roll necks, turtlenecks whatever necks for life. I neeeeeeeeeed that roll neck ahhh its looks amazing! Such a cute outfit, I love the dress, you sassy babe! I'm absolutely loving roll necks at the minute especially at this time of year, definitely want to stock up on them! I love this pinafore! I really want to get onto the whole shorts/dress dungarees thing, but none of the styles seem to suit me. I think this more feminine take on it would be perfect for me!